The Fast Way To Expand Your Skill Base ... Modeling Excellence. 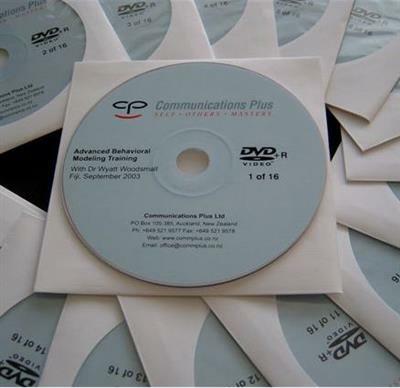 This set of 16 DVDs was recorded at the Advanced Behavioural Modelling Training in Fiji, with Dr Wyatt Woodsmall during September 2003. Communications Plus hosted an elite group of NLP'ers for this 8 Day world first event. 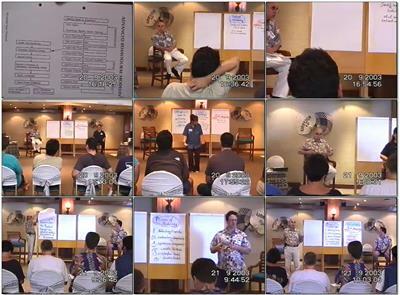 Dr Woodsmall is an NLP Master Trainer and Master Modeller. This training series of DVDs will enable you to follow the whole course in Advanced Behavioural Modelling as students did under the direct tutorage of Dr Wyatt Woodsmall on your screen, one of the world's leading behavioral modeling experts. For many years, Dr Wyatt Woodsmall has been highly regarded as the world's leading expert in "Modeling Experts" - to capture, encode, and transfer what experts do - so others can enjoy and benefit from the skills of those few who are top in their field. Using the tools and techniques of Neuro Linguistic Programming (NLP), Woodsmall teaches how to capture, encode, transfer and replicate the skill of an expert. Many people have tried "copying" the behaviours of an expert ... and failed to achieve the results the expert gets. What's worse is .. they dont know why! The answer? Find out the powerful secrets of how to get what goes on inside the expert ... how they generate their success. Learning effective inside and outside modelling. Become a person who has the difference that makes the difference! NOTE: by request, video is not very good quality.